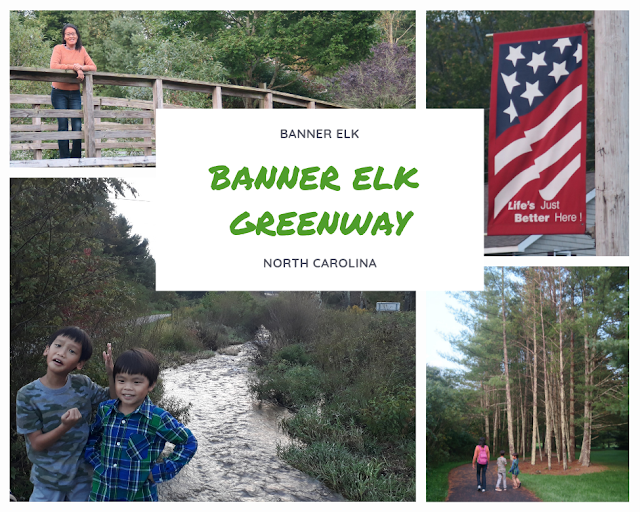 We had a quiet day to give us all some downtime in our travel schedule, particularly after the exhilaration of Grandfather Mountain the previous day, and in anticipation of the long drive ahead tomorrow. 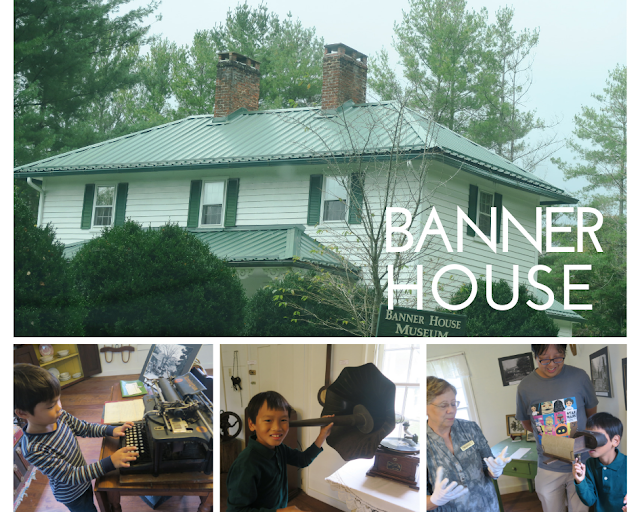 We headed to the Banner House Museum in Banner Elk, a few minutes from our accommodation, after a breakfast at Bojangles in the morning, having to forego our plans for raspberry picking as a thunderstorm was heading our way. It was a blessing in disguise as we got to experience what life was like for the founding family of the town we’d been living in this past week. An interesting historical nugget is that the father Lewis Banner supported the Union cause even though he lived in the South. He also supported the "Underground Railroad" and provided safe passage to both Union and Confederate soldiers. probably wise to dispel romantic notions of history to state that there is a good reason for the prevalence of that saying. We headed to the dam behind the property at Paul’s recommendation, and enjoyed a picnic lunch on mossy rocks as E and Daddy clambered over the mountain stream to get a better view of the pristine waters. The rest of the day was spent back at our accommodation, resting as the boys did some painting, school work and updating their trip journals. We were sad to be leaving the heavenly High Country. The gorgeous dam just behind the Banner House. Peaceful and serene, it was the perfect end to our time in Banner Elk. The littler one clearly enjoying his time after a simple picnic. The Previous Page - Chasing Grandfather. Read here. What's Next? Just the Way Things Were. Read here.